Description: Hello friends! Today we are sharing a video from our "international" side - you could call today Worldwide Wednesday! Last winter we spent some time road tripping across Namibia. This video showcases the beauty of the oldest desert in the world. 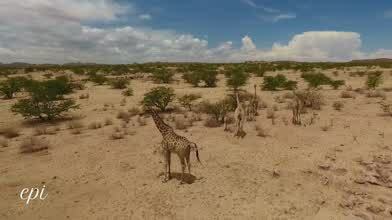 The footage shows the landscapes from our travels between Sossusvlei, Cape Cross and Spitzkoppe. Namibia should be put on everyones bucket list - it captured our hearts, as I'm sure it will yours too! Please like, comment, and share with anyone you'd like to take an adventure with! And dont worry....this is just the first installment of our Road Trip across Africa Elevated Video series...Enjoy! Make sure to watch in HD!